The Sustainable Energy Authority of Ireland (SEAI) has published its latest report on energy security in Ireland, which includes contributions from Byrne Ó Cléirigh. The report, which is the fifth in a series and the first since 2011, is a comprehensive source of statistical data and indicators on energy security in Ireland. Ireland had an import dependency of 85% in 2014, down from a peak of 91% in 2006. These energy imports are estimated to have amounted to €5.7 billion in 2014. 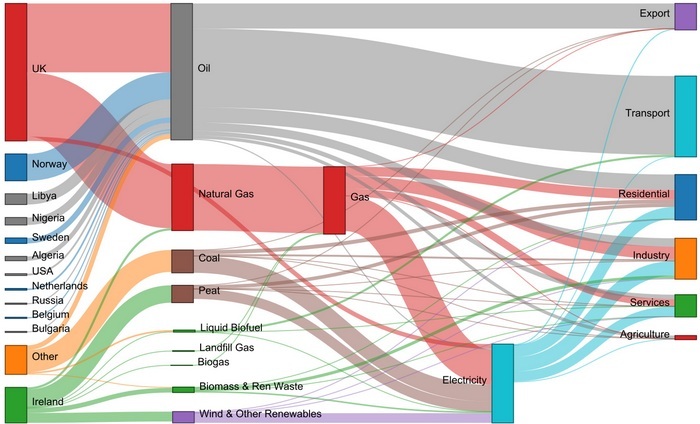 Ireland's energy flows, including the sources of supply, are summarised in the sankey diagram below (source: Energy Security in Ireland: a Statistical Overview (2016 report), SEAI, 2016). Oil remains the dominant energy type in the economy. It accounts for 49% of energy use and Ireland’s oil dependency was the fourth highest in the EU in 2013. 96% of the natural gas used in Ireland in 2014 was imported. The Corrib field, which commenced commercial production at the end of 2015, will supply approximately three quarters of demand during its first full year of production. 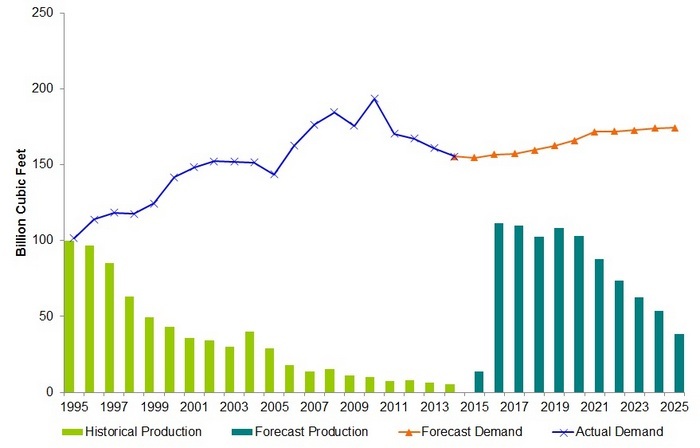 The historical and projected natural gas demand, and indigenous production, are shown below (source: Energy Security in Ireland: a Statistical Overview (2016 report), SEAI, 2016). A calculated 'supply/demand index' indicates that energy security in Ireland has deteriorated since 2000, primarily due to the increasing proportion of energy supplies (oil and gas) that are now being sourced from beyond the EU.